Whether you’re enjoying an extended getaway or just a quick land excursion during your cruise, Nassau Paradise Island is the ideal place to visit. With so much to see and do, you’re guaranteed to have an unforgettable experience, regardless of whether you’re visiting for three days or three hours. For the foodie travelers, the Fish Fry at Arawak Cay is the best place to pop in for a quick and casual meal that introduces you to the flavor of The Bahamas. During a longer visit, expand your Bahamian palate during a Bites of Nassau walking tour. Nothing says paradise better than island lounging with a cold brew in your hand. Pirate’s Republic, located downtown on Bay Street, is The Bahamas’ first craft brewery and the perfect place to grab a light bite and drink. John Watling’s Distillery is best for those with more time as you can enjoy a complimentary tour, sample rum and learn the history of rum-making in The Bahamas. You can’t leave The Bahamas without a souvenir. Stop by the famous Straw Market for those last minute treasures to take back home with you. Choose from items such as hand-woven straw hats, bags, wood carvings and conch shell jewelry. If you’re not in such a rush, stop into Doongalik Studios & Art Gallery and browse artwork and crafts created by local artisans. The numerous breathtaking beaches in The Bahamas are a must, regardless of how quick your visit may be. Take a quick stroll along the sands of the centrally located Junkanoo Beach if you don't have much time. If you have a few hours, discover the beauty beneath the surface and learn to snorkel or scuba dive with Stuart Cove’s Dive Bahamas. 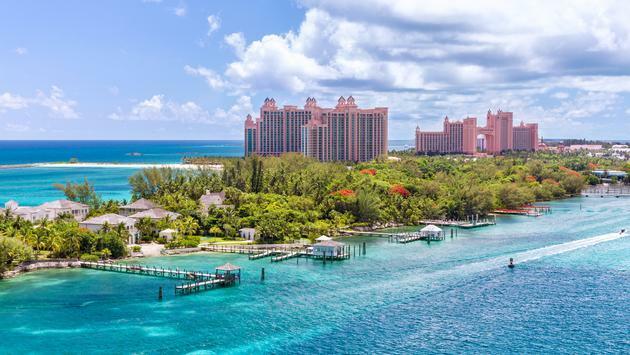 It doesn’t matter how long your time in The Bahamas is, there’s nothing better than escaping to Nassau Paradise Island. Check out our current travel deals and start planning your return to Paradise today. For more information on Nassau Paradise Island, visit their blog page here. Come to Nassau Paradise Island to enjoy powdery white sand beaches, warm turquoise waters, and the ultimate dream vacation.